The version 2.5.2 of MSI Kombustor is available. This maintenance release includes the latest version of ZoomGPU with support of GeForce GTX Titan, GeForce GTX 650 Ti BOOST and RadeonHD 7790. New resolutions for multiple 16/9 monitors have been added (one, two or triple FHD or WQHD screens). The embedded GPU Shark has been updated to version 0.6.10. 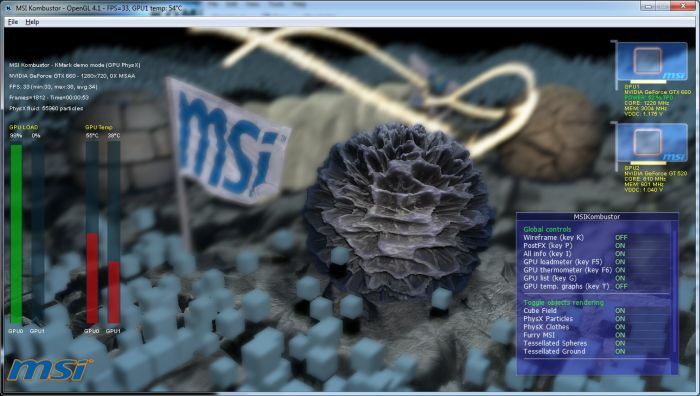 Update (2013.11.18): MSI Kombustor 2.5.6 + MSI Kombustor 3.3.0 are available HERE. Just installed it doesnt appear to recognise my second card it says N/A, I have 2 7970 ghz installed. 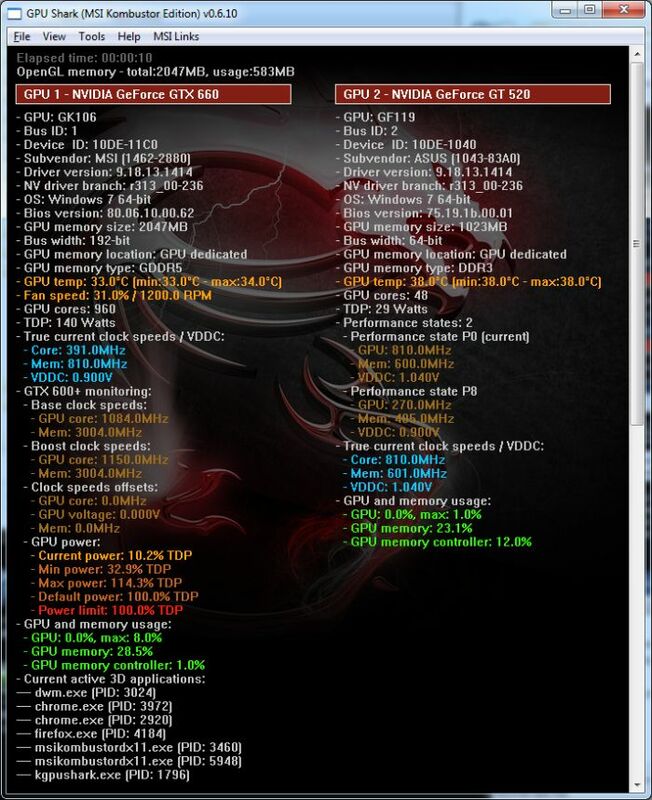 Tried it in current MSI afterburner release and that sees both gpu’s fine.